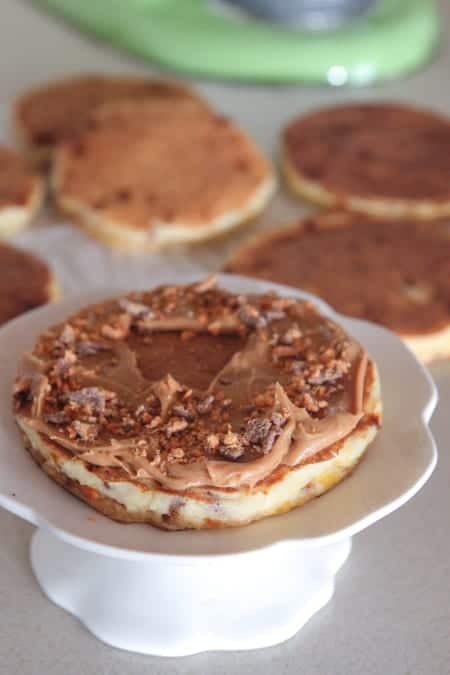 These Butterfinger Dessert Pancakes are the perfect show stopping sweet treat to entertain your family and friends! Have you ever seen a more sinful stack of pancakes? 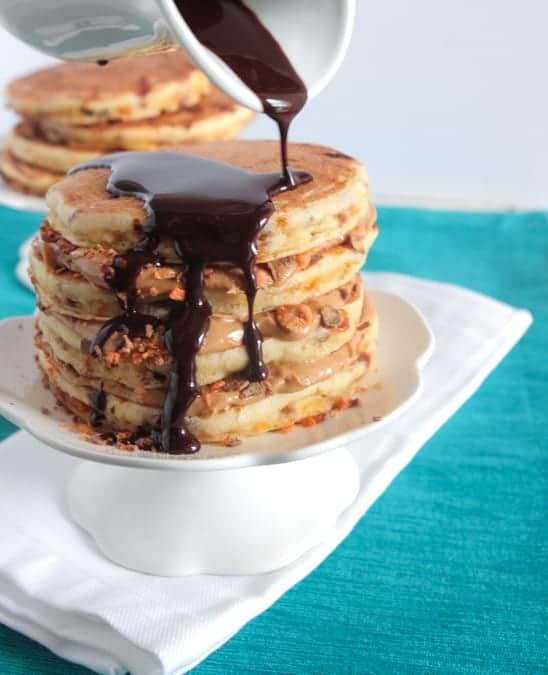 Butterfinger, peanut butter and warm chocolate sauce? Heaven help me. 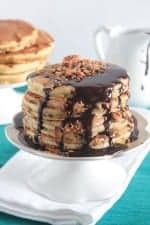 After my travels to Chicago last weekend ordering fun pancakes motivated me to create a gorgeous stack of dessert pancakes for this Holiday season! I used these tempting Butterfinger Baking Bits for my stack. Everyday pantry and refrigerator ingredients for the rest of the list. 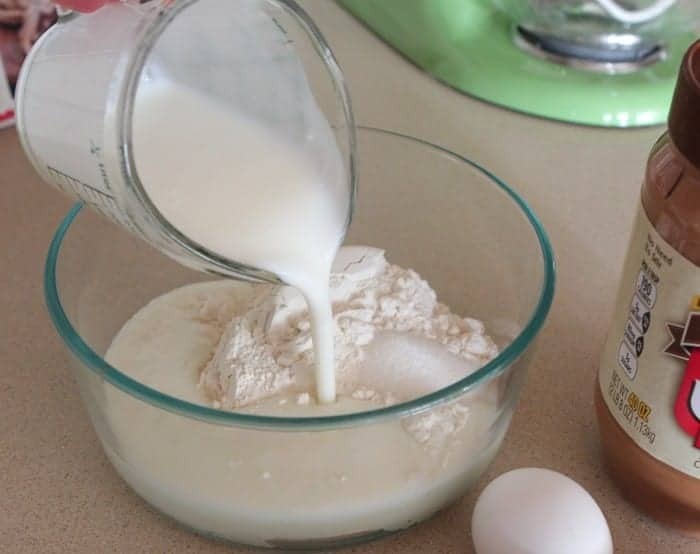 Place your dry ingredients into a mixing bowl then add your buttermilk. 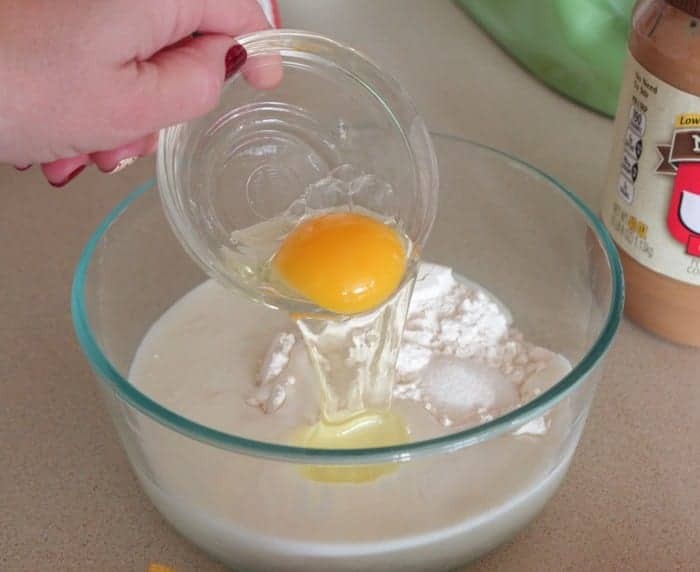 1 large egg into the bowl. 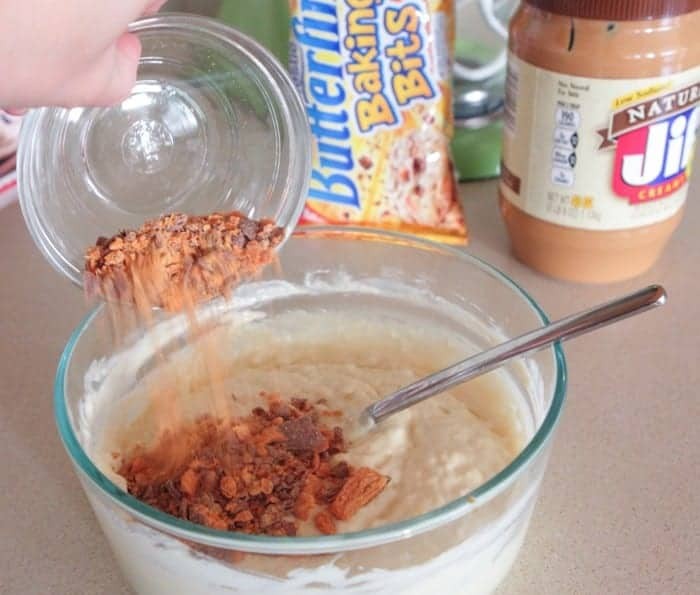 A few tablespoons of crushed Butterfinger, mmm! 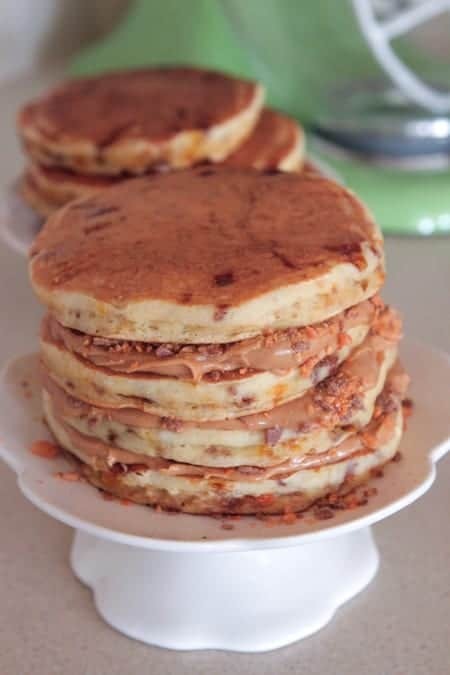 Spread peanut butter over each pancake layer topping with more Butterfinger pieces if desired. Keep stacking until your heart’s content. 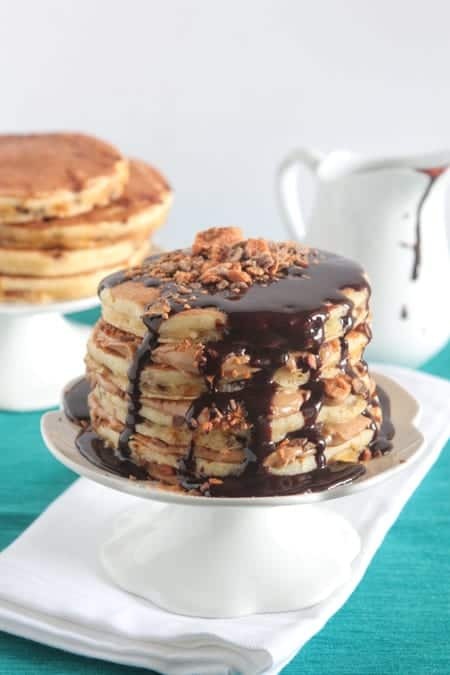 Drizzle warm chocolate sauce over your stack. Top with more crushed Butterfinger now dig in! Preheat medium non stick skillet over medium heat. Place flour, sugar, baking soda, salt, buttermilk, egg, vanilla and crushed Butterfinger into a large mixing bowl, stirring to combine. Spoon about 3 tablespoons pancake batter into hot skillet forming a round pancake. Cook on each side until browned and cooked through. Transfer to serving plate. 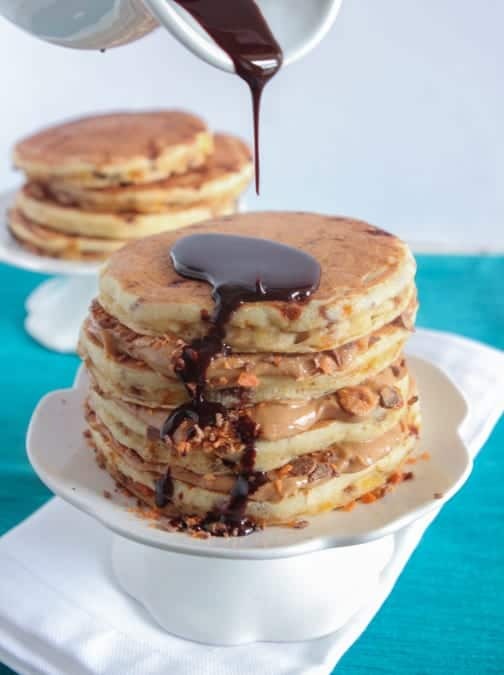 Spread peanut butter between layers of pancakes and drizzle with chocolate sauce before serving. Garnish with additional crushed Butterfingers if desired. Dark Chocolate Mint Coconut Macaroon Cookies……and Curtis Stone!! White Fudge Dipped Easter Oreos! 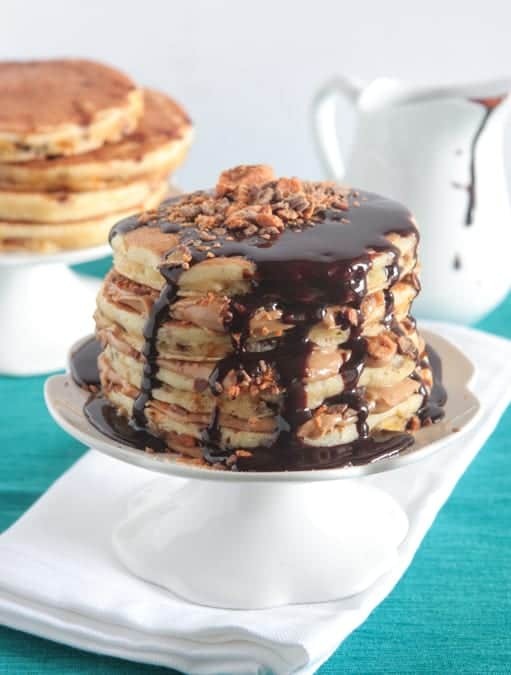 BEYOND fabulous, decadent stack of pancakes! These pancakes look outrageous! 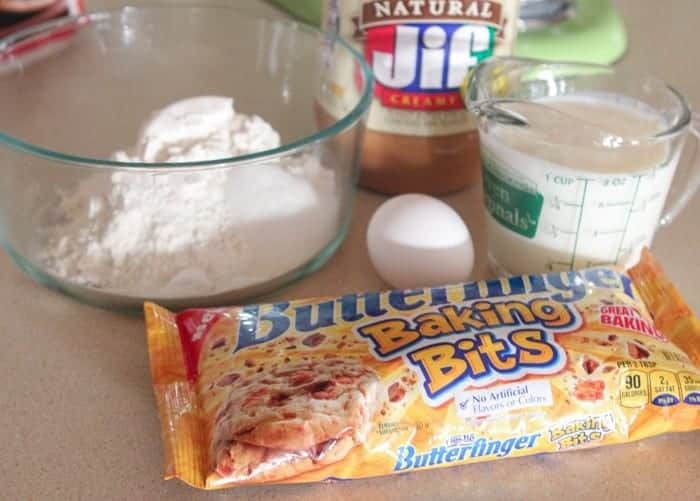 I have got to find those Butterfinger Baking Bits!! Sinful is right! 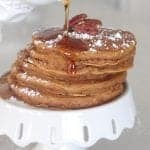 These look like the ultimate in sweet pancakes! These look so naughty, but oh so good!! I’ll take a giant stack please! Oh I want these pancakes! They look so good! OH MY GOODNESS Jenny! Hold me back….I wouldn’t be able to stop eating these. I think this should probably be illegal! HOLY MOLY! These look amazing Jenny! I am a huge butte finger fan and I still have a couple I stashed away from the girl’s halloween candy. Can’t wait to try these! 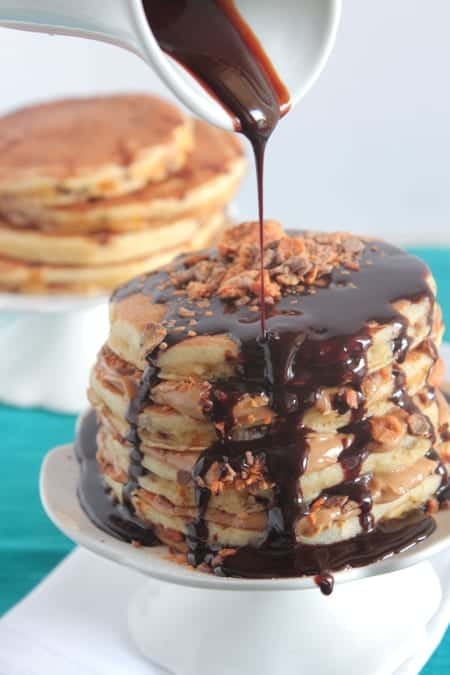 Nope, I’ve never seen a more sinful stack of pancakes, but boy do they look amazing!!! This pancake looks so so delicious. I will cook it later.